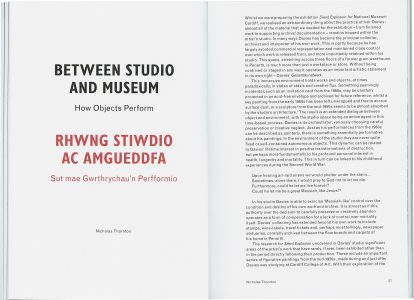 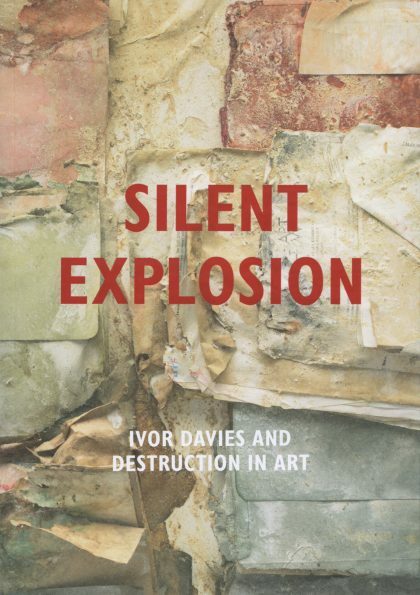 This richly illustrated publication offers the first comprehensive critical assessment of Ivor Davies, a painter, assemblagist, maker of happenings, cultural activist, art historian, collector, archive creator and multilinguist. 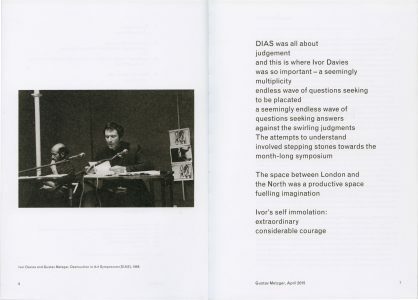 In-depth essays considering Davies’ paintings, sculptures, drawings, installations and performance works from the 1940s to the present feature alongside writings by and interviews with the artist. 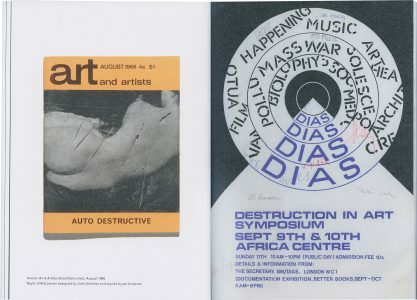 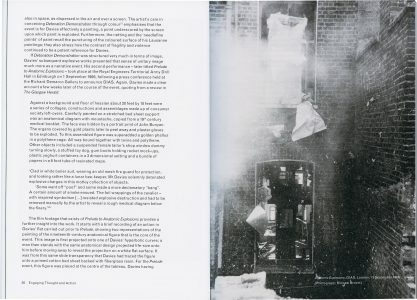 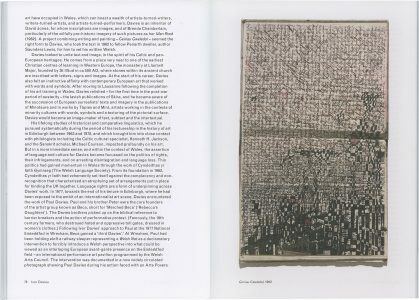 The publication also includes comprehensive catalogues of Davies’ publications and exhibitions, and of his internationally important archive of Destruction in Art, which provides a unique insight into the artist’s key role in the 1960s avant-garde in Britain. 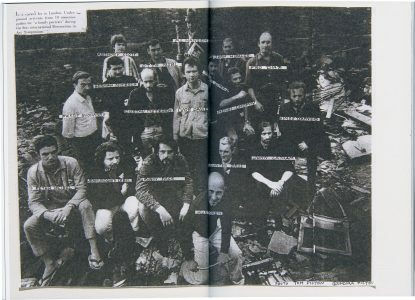 170 × 240 mm, 208 pp.